After two decades together, indie group Low has managed to make music that is at once understated and powerful. With no disrespect to Steve Garrington, who holds his own on bass, the driving element of Low’s sound is the intertwining vocals of married couple Alan Sparhawk and Mimi Parker. This is the band’s tenth album, and the formula is still as ravishing as ever. The Invisible Way is quiet, even for a Low record. It’s far more stripped-back than 2011’s enchanting C’mon, but this stripped-back quality is permitted to flourish thanks to the production of Wilco frontman Jeff Tweedy. 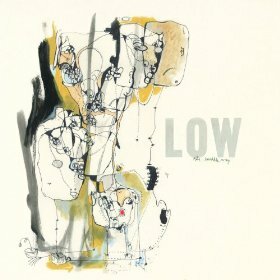 One of the most compelling aspects of Low’s music is the band’s ability to make the darkest of topics sound hauntingly beautiful. From the frustration of “Plastic Cup” (“Maybe you should go out and write your own damn song and move on”) to the plaintive “Holy Ghost” (“I feel the hands, but I do not see anyone”), melody is always the driving force. The beat is soothing, and Parker and Sparhawk switch and share vocal duties seamlessly. While “Waiting” is so sparsely arranged that the piano and guitar are difficult to notice behind the voices, “Clarence White” relishes in an instrumental introduction that lasts nearly a minute. For me, the highlight is “On My Own,” with Parker providing perfect harmonizing for Sparhawk before a thick, sprawling guitar solo giving way to a bellowed, cryptic “happy birthday” at the end. Low are the masters of atmosphere, and The Invisible Way solidifies this legacy. Look no further for a primer in the bittersweetness of life.